Olde English Bulldogges are calm but can be bold and fearless if required. They are protective of their master and property by nature. This breed likes to chew and should be provided with extra hard chew toys, as softer ones are demolished! Olde English Bulldogges are courageous and bold and have been known to over exert themselves in order to please their masters. Olde English Bulldogges are very friendly and loving. The Olde English Bulldogge is genetically healthier Bulldogges that are free breathers, free breeders, and free whelpers. They are just as adorable as the English Bulldog. If you are looking for a loyal and loving pet, Olde English Bulldogge is right for you! AKC French Bulldogs are a wonderful fun family dog with the ability to be that special dog in anyone's life. They are loyal, loving, and fond of kids. There small size makes them easy travel companion dogs. They are lovable, cuddle friendly, playful and energetic but not hyper or over active. They are also low maintenance with minimal shedding. They are great with other dogs,cats, and pets when socialized and raised properly. It has been an enjoyable learning experience. We look forward to sharing some of the excitement, charm, and joy with you as we strive to breed and raise high quality French Bulldogs. 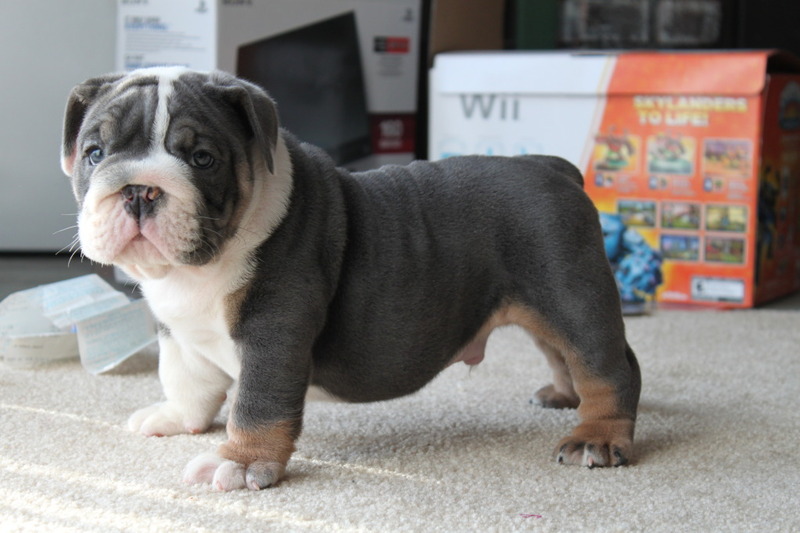 Are you looking for a healthier dog, you might have heard about the health problems that others have had with English bulldog puppies. 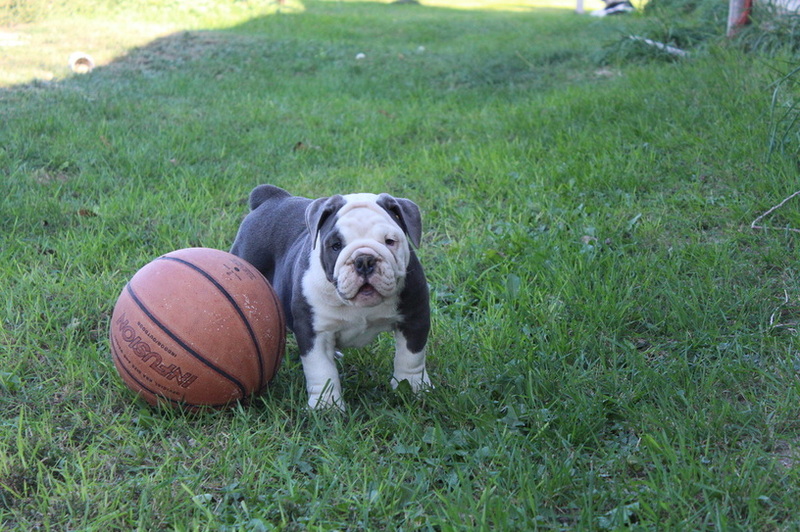 Olde English are much healthier than English bulldogs, they live longer and free whelp, which is important because in most cases the English bulldog will have a c-section for every birth.